Sudden cardiac arrest (SCA) is a condition in which the heart suddenly and unexpectedly stops beating. If this happens, blood stops flowing to the brain and other vital organs. SCA usually causes death if not treated immediately. There are many types of arrhythmias. During an arrhythmia the heart can beat too fast, too slow or with an irregular rhythm. Some arrhythmias can cause the heart to stop pumping blood to the body, and these arrhythmias cause SCA. SCA is not the same as a heart attack. A heart attack occurs if blood flow to a part of the heart muscle is blocked. During a heart attack, the heart usually does not stop beating. SCA however, may happen after or during recovery from a heart attack. People who have heart disease are at higher risk of SCA. However, SCA can happen in people who appear healthy and have no known heart disease or other risk factors. Most people who have SCA will die from it, often within just a few minutes. Each year some 375,000 Americans die from SCA before they reach a hospital. Many of these lives could be saved if bystanders quickly call 911 and begin CPR, and if trained responders provide defibrillation within a few minutes. 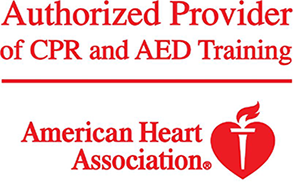 The key to surviving sudden cardiac arrest is the speed with which CPR (cardiopulmonary resuscitation) and defibrillation can be delivered. If a victim receives immediate CPR and defibrillation within one minute, there is up to a 90% chance of survival. If a victim must wait ten minutes for defibrillation, survival drops to about 5%.